Donnelly and Tamarack are located 20-30 minutes south of McCall. Cascade is located 30 minutes south of McCall. Book Direct. Just for you. The DoneRight Management Five Star rated Property Management Team is proud to welcome these select, unique vacation homes to our inventory. 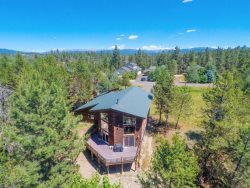 Waterfront homes and cabins on or near the shores of beautiful Payette Lake in McCall or Lake Cascade! Payette Riverfront, Rio Vista Pond or River Ranch ponfront properties too. Properties on or near a McCall, Jug Mountain Ranch or Cascade golf course. Within walking distance of downtown shops and restaurants, the Manchester Ice and Events Centre, Mile High Marina and Legacy Park! Pick a perfect spot and enjoy the 4th of July fireworks or stroll among the ice sculptures during Winter Carnival. Our spokesdog Kutter recommends any of these Pet Friendly properties. Take the "Bored" out of "Boarding" take home our tail waggin Kutter approved amenities!Pet fees apply at the rate of $25 per night, per pet. Up to 4 horses welcome. Room for trailers, plenty pasture. $35 per night per horse. Certified weed free hay required. Parking for your sled deck and trailer. Just a short trailer ride to trail head parking for easy, back country access. Gather family and friends, business associates or plan a family reunion. These homes are spacious, comfy and well equipped to accommodate from 14 to 48 guests. Start making your McCall Memories now. Homes and Cabins for couples, families, or large groups. Weve got something for everyone with these perfect, Anytime Getaways.